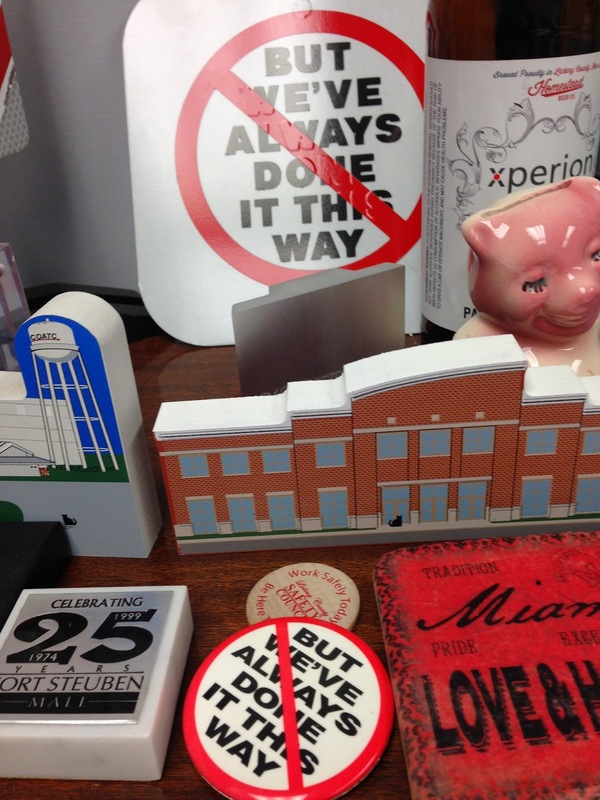 In my office, I keep a collection of trinkets collected over a 25+ year career in development. Every trinket has a story. Two trinkets came from my Dad. 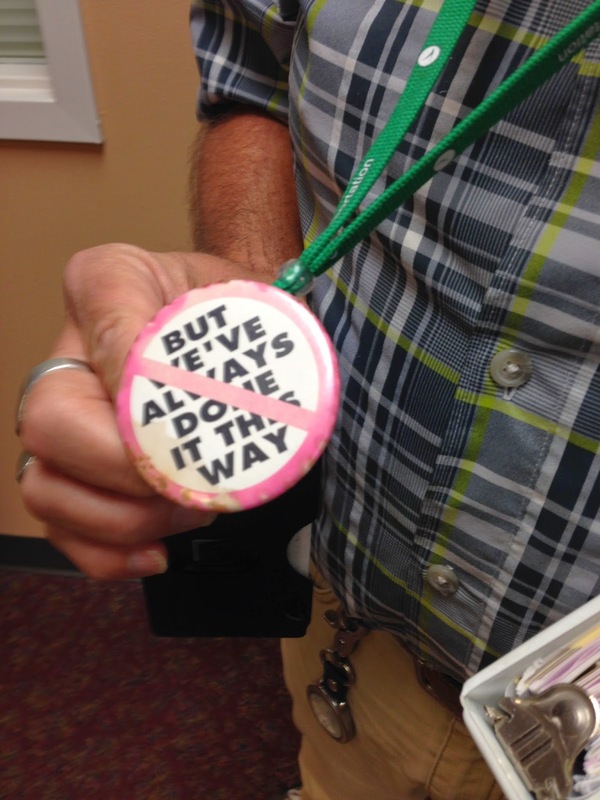 The button was something he used during his time at the Ohio Department of Transportation (ODOT). During his five-year tenure there, he was a bit of a bull in a china shop and the buttons were his attempt at breaking the bureaucracy a bit. When he left in 1996, the going away gift from the sign shop was a bigger version of his bureaucracy-busting message. When he passed away in 2004, I got both. So, imagine my glee when I visited the ODOT headquarters yesterday for a meeting and what should I see? One of the ODOT people was wearing a well-worn version of the button around his name tag. It brought a smile to my face. Sometimes it's personal, not business.